How do you know if you have a good password? Hopefully you’re not still using your birth date, or phone number, or the name of your dog, or anything that directly relates to you. But how do you know if the password you have picked is good enough, secure enough? How Quickly Could Your Password Be Guessed? You think you have good passwords? Let’s put them to the test. 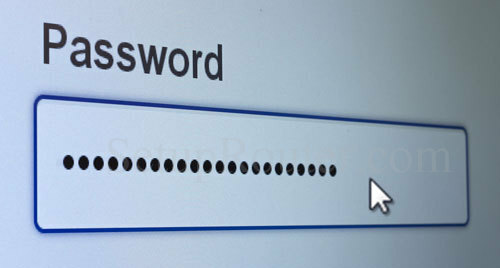 You don’t have to use your real password, but use some or most of it and see how it does. Try different combinations and see how the numbers change. You find out very quickly that more characters generally equals longer time required to break the password. Wikipedia says it’s good to have a password of at least eight characters, but it’s also having the right characters. Try putting in “12345678” and see how long that takes to crack. So what are the right characters to use in your password? I think the biggest thing is to make the password unique to you – not something personal and guessable, but a unique twist that you like and use. Maybe a word you tend to spell wrong, or a character combination that “just works” for you. A good password should be memorable enough that you don’t have to write it down, but unique enough that it’s not obvious or guessable based on what people might know or be able to find out about you. LifeHacker says changing passwords frequently is much less relevant than it used to be, but they do recommend changing passwords for websites that don’t use two factor authentication. The problem with changing passwords is remembering them. Better to have a good password you can remember than a bad password that you forget and have to reset your password again. BUT – just because you have a good password, don’t use it for everything! That’s a definite No NO! This next part is up to you: Take some time, come up with a good password, actually more than one, then cycle through everywhere you login and change out all those bad passwords for your good one. Be the first to comment on "How Do You Know If You Have A Good Password?"